For years, more and more people have been switching to contact lenses. Contact lens technology has evolved rapidly and with today’s variety of contact lenses, there are lenses for just about everyone. Switching from eyeglasses to contact lenses begins with an eye exam for contact lenses. After the contact lens exam comes a separate contact lens fitting session. Before anything else, you should have a comprehensive eye exam for contact lenses. During this contact lens exam, your eye doctor will check your vision and write a prescription for corrective lenses. This is the same type of prescription you would get for eyeglasses. He or she will also check for any eye health problems or other issues that may cause problems with contact lens wear. With so many contact lens choices, the first part of the consultation is a discussion with your eye doctor about your lifestyle and preferences regarding contact lenses. One choice that today’s contact lenses allow you to make is whether you want to change your eye colour. Different eye colours are available with contact lenses. 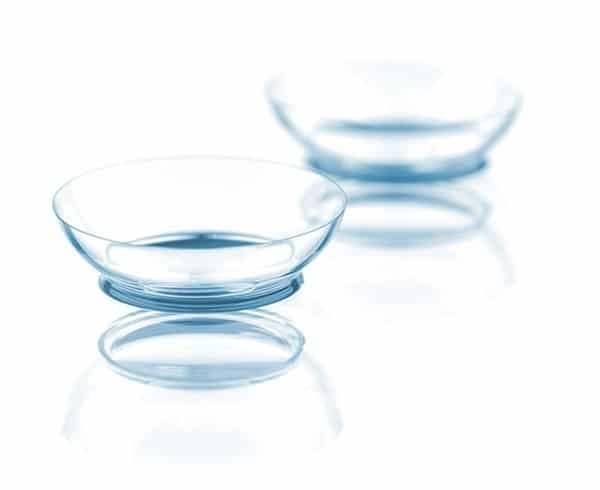 Other options include whether you want contact lenses that are designed to be replaced daily or those which can be worn for more extended periods. Most people choose soft contact lenses for their ease and comfort. However, there are also advantages of hard or what are called rigid gas permeable (GP) lenses. All the specifics will be discussed prior to your contact lens fitting. While it may not be apparent, our eyes come in different sizes, and one contact lens size doesn’t fit all eyes. If the curvature of a contact lens is too flat or too steep for your eye’s shape, it could lead to discomfort or even damage to your eye. Your eye doctor will take measurements and determine the best contact lens size and design for your eyes. The eye doctor uses an instrument called a keratometer to measure the curvature of your eye’s clear front surface (cornea). This measurement helps your doctor select the best curve and diameter for your contact lenses. Your eye’s surface may be somewhat irregular because of astigmatism. But do not worry if this is the case, you can still get special contact lenses known as a “toric” contact lens. There are many brands of both hard and soft toric lenses, which are available in disposable, multifocal, extended wear and colored versions. 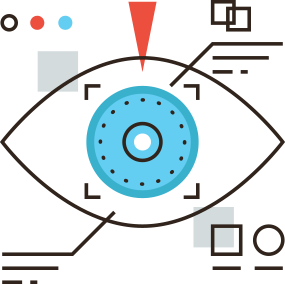 Your eye doctor will also perform a detailed mapping of the surface of your cornea (called corneal topography.) Corneal topography provides precise details about the surface of your cornea and creates a surface “map” of your eye, with different contours represented by varying colours. The size of your pupil and iris (the colored part of your eye) is important in determining the best contact lens design for you, especially if you are interested in hard lenses. These measurements are taken with a lighted instrument called a biomicroscope (also called a slit lamp) or simply with a hand-held ruler or template card. In order to wear almost all types of contact lenses, you must have an adequate tear film to keep the lenses sufficiently hydrated. Your eye doctor will place a liquid dye on your eye so your tears can be seen with a slit lamp. He or she may also use a small paper strip placed under your lower lid to see how well your tears moisten the paper. If you have a condition known as dry eyes (eyes that do not tear enough), most contact lenses will not work for you. If you produce some tearing, there are certain contact lens choices that you may be able to wear without a problem. After finding the right contact lenses, your doctor will write a contact lens prescription for you. This prescription designates the contact lens power, the curvature of the lens (called the base curve), the lens diameter, and the lens name and manufacturer. In the case of GP contact lenses, additional specifications are included in the contact lens prescription.